Athira and I have decided to host a read-along of Donna Tartt’s The Goldfinch. It’s one of the many books we’re hoping to finish before the end of the year, so why not read it together? The Goldfinch seems to be one of those books that everyone has read this year. Most of the reviews have been pretty positive. The read-along is pretty informal. There won’t be any progress posts to write. There will be some kind of discussion post at the end. 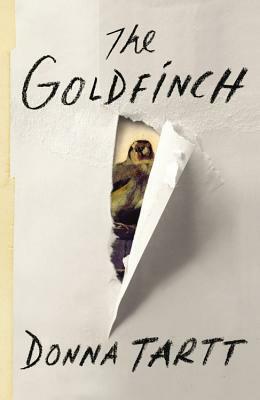 In case you’re a little scared nervous about reading such a big book (784 pages to be exact), read one of my favorite posts from Meredith (Dolce Bellezza) about The Goldfinch. I’m starting to think March is a book blogger’s January, filled with tbr to-do lists, read-alongs, and events. It’s like everyone decided that January wasn’t good enough so they’re cramming as many things into March as possible since February was so short. Yesterday, I looked around the blogisphere and found some really interesting events going on, so I thought I’ll share them with you all. Looking for a chunkster to pick up? Then you’re in luck. 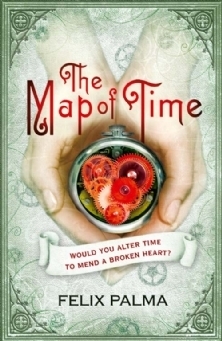 The Chunkster Challenge’s Chunky Book Club is hosting its first group read of the year with The Map of Time by Felix Palma. Discussions on the book will start on March 15th and continue through the rest of the month. Remember: you don’t have to be a challenge participant and you can read the chunkster in any format you want. My Beloved World by Sonia Sotomayer is a book that I’ve been reading nothing but positive things about so I was happy to see that it’s this month’s book pick for the Mocha Girls Read Book Club. Last but not least, Rebecca (Lost in Books) is celebrating Women’s History Month with guest posts and book reviews. Whew! That was a lot! Are you joining any read-alongs or bookish events this month? If you didn’t know that today was the first day of spring, you wouldn’t be able to tell by looking out my window. It’s nice and cold outside, perfect winter weather. So it seems a little funny to be making a list of books I want to read for spring. 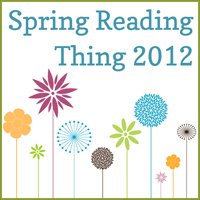 I missed last year’s Spring Reading Thing, a seasonal “challenge”, and I refuse to miss it again this year. I decided to dedicate this year’s SRT to my many stacks of unread books. This idea came to me yesterday after “finding” an under-bed shoe storage filled with books. I think that’s one of the great things about Spring Reading Thing is that participants are encouraged to make goals. It’s not just the amount of books to read but anything else you can think of. Give away at least ten books by June 20th. If I don’t miss the 30+ books under my bed, I won’t miss the ten that I plan on giving away. I’m thinking of this as my own bookish spring cleaning. Last but not least is to have at least one read-along with my daughter. She’s ten and hasn’t read The Secret Garden by Frances Hodgson Burnett yet. It’s been a reading tradition of mine to read it every spring. I already bought her the book and movie version. Now it’s time to read it to her. Maybe I’ll give her a package of seeds to go with it. I think she’ll like that. If the read-along is a success, we can add Natalie Babbit’s Tuck Everlasting in June. It’s one of my favorite summer reads. So that’s what I’m planning this spring. Have you started thinking about your spring reading? 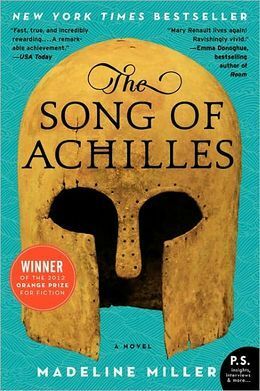 Are you joining Spring Reading Thing this year? Welcome to today’s read-in. I’m one of three bloggers co-hosting this event along with Doret from The Happy Nappy Bookseller and Edi from Crazy Quilts. 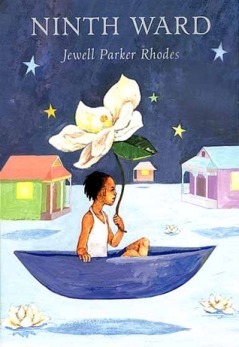 This year’s read-in book is The Ninth Ward by Jewell Park Rhodes. It’s the story of a young girl living in New Orleans right before Hurricane Katrina. 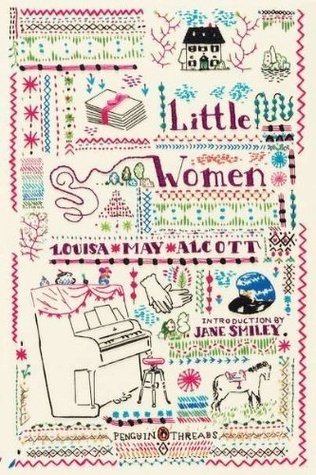 Since the book’s publication in 2010, it’s been nominated and listed as a best book by several organizations including Goodreads, School Library Journal, and 2011-2012 The Dorothy Canfield Fisher Children’s Book Award. Instead of discussing the book just one day, Doret, Edi, and I decided to discuss The Ninth Ward all week long and give readers a chance to still read it if they didn’t have time before. Wednesday’s discussion questions will be on Doret’s blog and Friday’s questions on Edi’s. The Ninth Ward is one of the newest additions to the magic realism genre. As you read Lanesha’s story, how did you feel about the fantastical elements such as Mama Ya-Ya’s visions or the ghosts that lingered throughout the neighborhood? This was the first book I’ve read that dealt with Hurricane Katrina and some of the issues surrounding it like Mama Ya-Ya and Lanesha being too poor to evacuate before the storm. Have you read a book that dealt with this hurricane before? Whether or not you have, how did the storm’s role in the book feel to you? Could you imagine it and its aftermath as you were reading or was it vague? Last but not least, what did you think of Lanesha? Be sure to check out Doret’s and Edi’s questions on Wednesday and Friday. Thank you joining this year’s read-in. I’ve been a bad blogger! This week I had much of my blogging schedule mixed up plus with the semester ending, my days have been hectic. I was supposed to post my part of the read-along that I did with Carrie from Books and Movies and Kelly from The Written Word on Tuesday but didn’t get to it. (Sorry guys!) So here it is. 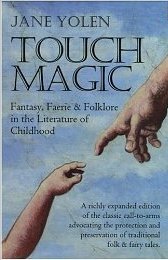 Touch Magic is a collection of essays by wonder writer Jane Yolen. Yolen is the author of over 200 books, in genres from children’s books to graphic novels, fiction, and non-fiction. 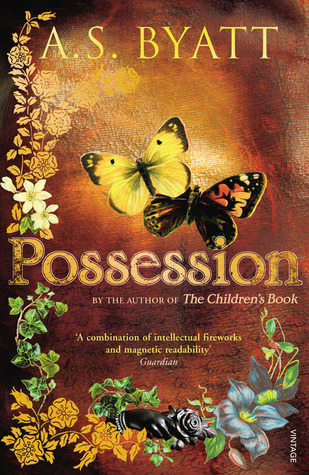 In Touch Magic, Yolen discuss the connection between fairy tales and American culture, the need to preserve fairy tales and myths, and the importance of children to grow up knowing these tales. This collection of essays is one of the most inspiring collections I’ve read. Yolen mentions so many books and it makes you want to go out and read what she mentions. One of my favorite essays in the book is the title essay. In it Yolen talks about the difference between the stories of then and now. Touch Magic. The good sister in the old tale helps out without the thought of reward and is given a mouthful of diamonds. The bad sister goes looking for diamonds and gets toads. A condition of choice overlies the best stories and that is what is missing in so much of the new literature for children. Instead of that reminder of the hard work of choosing, we are each of us told that we can marry the prince or princess. The half of the kingdom is ours for the asking. There is never the risk of a mouthful of toads. Tough Magic usually asks as its price the utmost sacrifice: a life, a soul, a never-ending torture. And those who choose Tough Magic never really know whether the ultimate rescue is at hand. The outcome is always in doubt at the moment of choosing. Prometheus knows he must endure until a son of Zeus arrives, but he does not know when that will be. Arthur waits in Avalon, neither dead nor alive, until he is needed again in the world, betrayed but not forgotten. . . .And so the tensions of the stories carry us past the unbelivability of the magic into the credibility of miracles in our everyday lives. 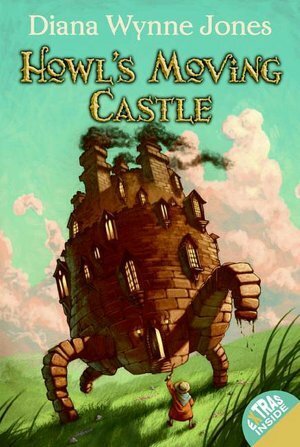 I love this collection and would recommend it to parents and lover of fairy tales. Click on the link for Carrie’s review of this book. Do you have a favorite fairy tale or myth?